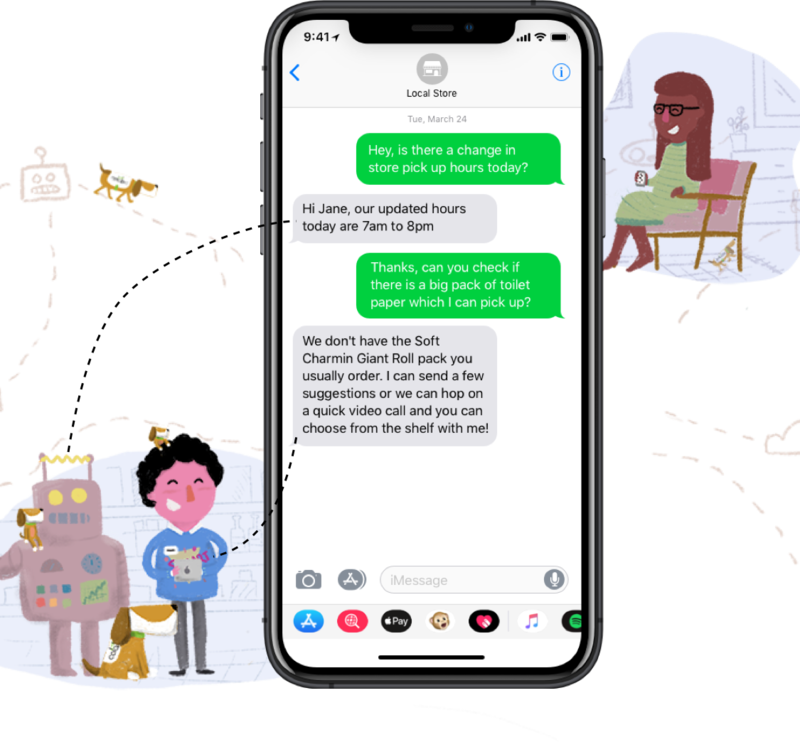 So What is Conversational Commerce, You Ask? 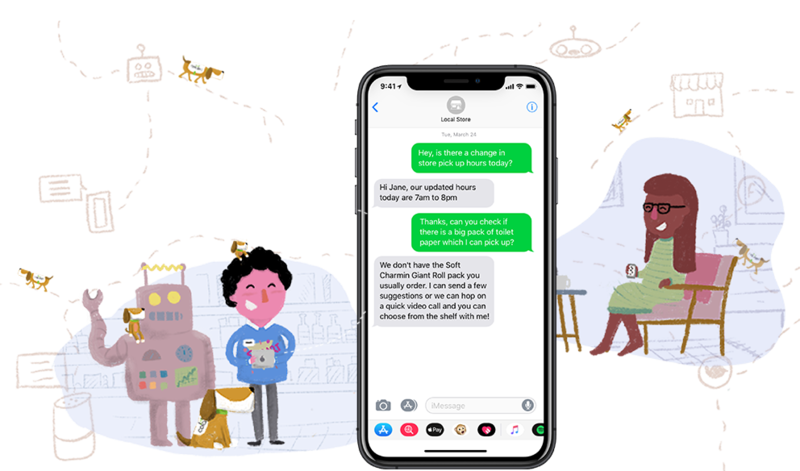 Customers can use natural language when having a conversation with a retailer via any channel like that supports Text Messaging or Voice. 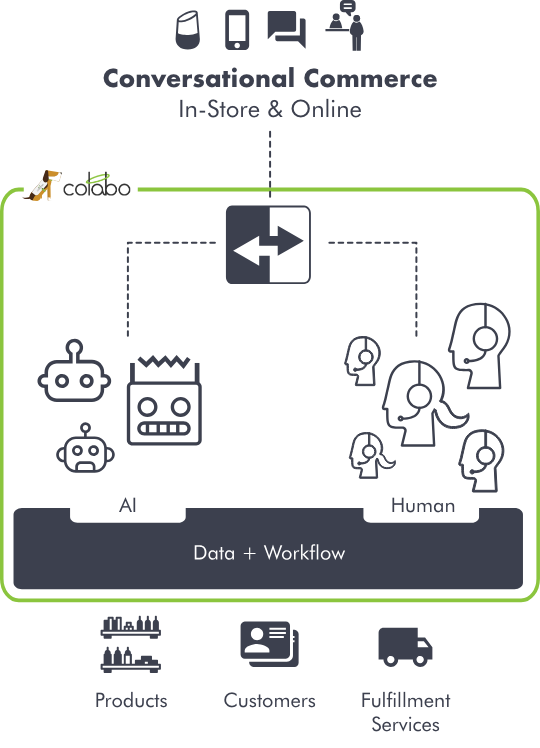 On the retailer’s end, the conversation is handled by an AI-based Bot or a human associate. To the user, the transition mid-conversation between the two is seamless. Gain New Customers by catching potential customers at their “daily shopping moments” and by converting any engagement into a shopping one. Colabo customers have seen an increase of between 20% to 300% in first-time customers. Higher Conversion Rate by eliminating friction points in the shopping experience and providing personalized recommendations. Bots are amazing at computation - they can retrieve data and process fact-based options finding the best possible result. Humans are great at understanding emotions and at reading between the lines. Colabo routes your consumers’ requests according to customizable business policies that trigger various automated workflows allowing a seamless omnichannel experience.